Hillary-Bernie Feud Escalates Over "Fundamental Differences"
More than two years after the fact, Clinton and Sanders Campaign staffers still have clearly yet to bury the hatchet over how he was cheated from the Primaries and she lost to the 'worst presidential candidate in history'. The week began with several senior staffers unloading on Sen. Bernie Sanders in a Politico story published on Monday that was loaded with laughable quips from both sides as they sniped at one another over whether Sanders' use of private jets during his surrogacy for Clinton was justified. "I’m not shocked that while thousands of volunteers braved the heat and cold to knock on doors until their fingers bled in a desperate effort to stop Donald Trump, his Royal Majesty King Bernie Sanders would only deign to leave his plush D.C. office or his brand new second home on the lake if he was flown around on a cushy private jet like a billionaire master of the universe,” said Zac Petkanas, who was the director of rapid response for the Clinton campaign. Meanwhile, Sanders staffers hit back with accusations that the Clinton set were simply still bitter about their loss and looking for somebody to blame, with one spokesman blasting "Clinton's people" as "some of the biggest assholes in American politics." “You can see why she’s one of the most disliked politicians in America. She’s not nice. Her people are not nice," he said. "[Sanders] busted his tail to fly all over the country to talk about why it made sense to elect Hillary Clinton and the thanks that [we] get is this kind of petty stupid sniping a couple years after the fact." "It doesn’t make me feel good to feel this way but they’re some of the biggest assholes in American politics," he added. But then things got a little more extreme, as questions arose over the identities of the 'random questioners' in a CNN Town Hall that asked Bernie the more pressing and awkward questions. CNN has been accused of ambushing Bernie Sanders and tricking viewers by passing off Democratic political operatives as everyday people during a Monday evening town hall as part of his campaign for the 2020 election. Internet sleuths looked into the backgrounds of those asking Sanders various questions - most of which could be considered fair game to ask a presidential candidate, only to find that there was more than meets the eye as noted by Paste Magazine. For example, Sanders was asked a tough question about allegations of sexual harassment on his 2016 campaign by "American University Student" Shadi Nasab. What CNN didn't mention is that she's also an intern for a large D.C. lobbying firm, Cassidy & Associates. Abena McAllister was labeled by CNN as a "Mother of Two," but failed to mention that she's also the Charles County Democratic Central Committee Chair. "Maryland Voter" Michelle Gregory is yet another 'everyday person' who turns out to be politically active as the chair of the Lower Shore Progressive Caucus. There are several more examples - as nearly everyone who asked Bernie a question is linked to some type of Democratic activism. Of course, this should not surprise anyone as Democratic operatives have already showed their willingness to fight democratic virtues during the primary season as this time they attempt to fight the left-er and left-er tilt of the party (and the popularity of that drift). 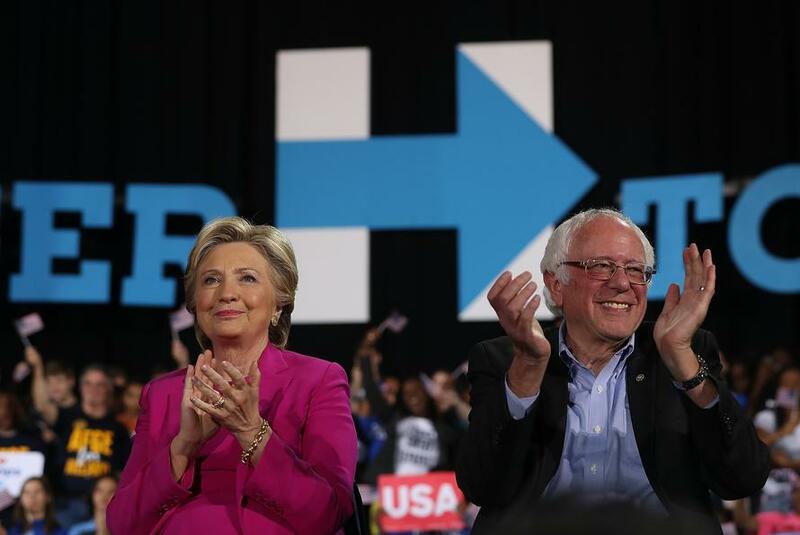 But the week ended on further escalation by both the Clinton and Sanders camps. 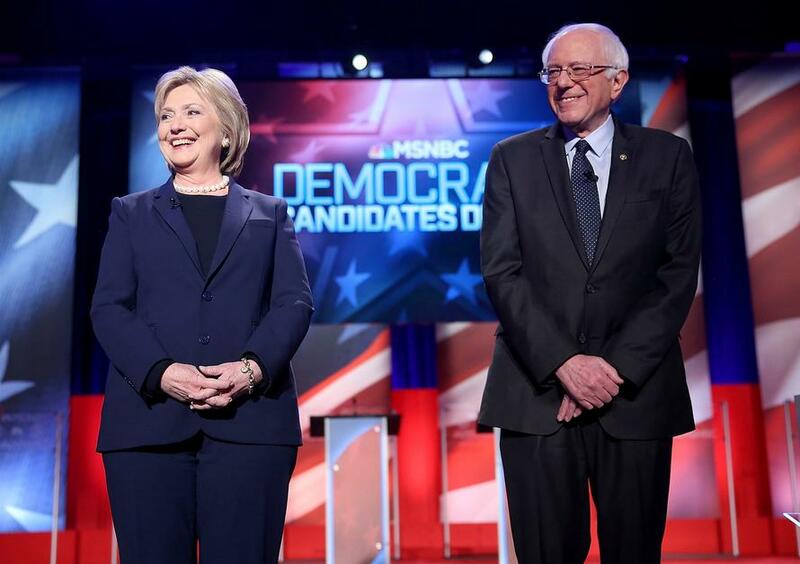 As NBC News reports, Clinton's spokesperson fired back at Sanders after he said he has no interest in seeking any advice from Democrats' most recent presidential nominee. “I’m not enthusiastic to go back to 2016, but I think in some ways, she didn’t reach out to working-class people the way I think she should have,” Sanders said when asked about why Clinton lost to President Donald Trump. “There were states where she did not campaign as vigorously as she should have, in Wisconsin, Michigan, maybe some other states, but that was 2016." Host Meghan McCain, the daughter of former Republican senator and presidential nominee John McCain, appeared startled and pressed again to make sure he really had no interest in seeking the counsel of someone who has also served as secretary of state, senator and first lady. “Can I interject really quickly though? We’re hearing about a lot of Democratic candidates who are meeting with Hillary Clinton for advice, though, so people like [Minnesota Sen.] Amy Klobuchar. Do you think you’ll do the same?” Meghan McCain asked. "I think not... Hillary and I have fundamental differences." "[Clinton has] played a very important role in modern American politics" adding that he would support whomever Democrats nominate. Clearly unable to drop the fact that Hillary lost and in some part blames Sanders. As a reminder, Clinton wrote, in her post-campaign memoir, "What Happened," that Sanders' attacks on her "caused lasting damage, making it harder to unify progressives in the general election and paving the way for Trump’s 'Crooked Hillary' campaign."